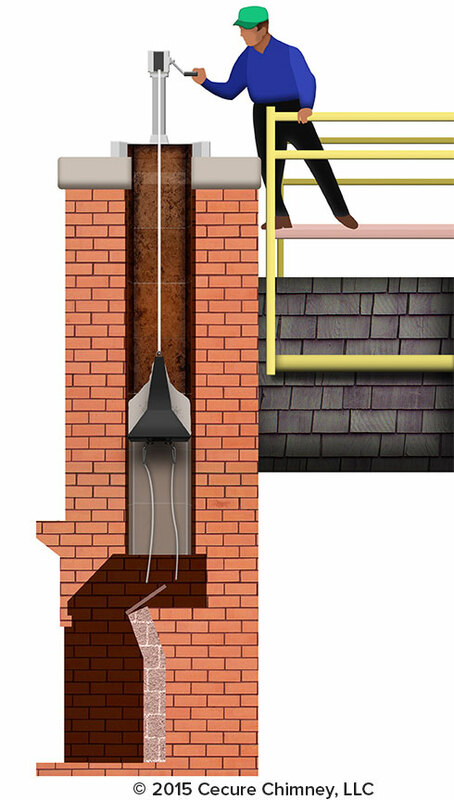 Poultice Creosote Remover (PCR) is a revolutionary product designed to completely remove 3rd degree glazed creosote from flue tiles, smoke chambers and fireplaces. When PCR is applied, it dissolves the creosote and absorbs it. As it absorbs the creosote and dries, it loses its adhesive properties and falls off the sides of the flue tiles. Any remaining PCR can then be removed by chimney sweeping. PCR can be applied by brush in areas that are easily accessible or with a specially designed tool that can be pulled up through the chimney by a winch. To remove glazed creosote in smoke chambers, PCR can be applied with SaverSystems’ Smoke Chamber Sprayer. 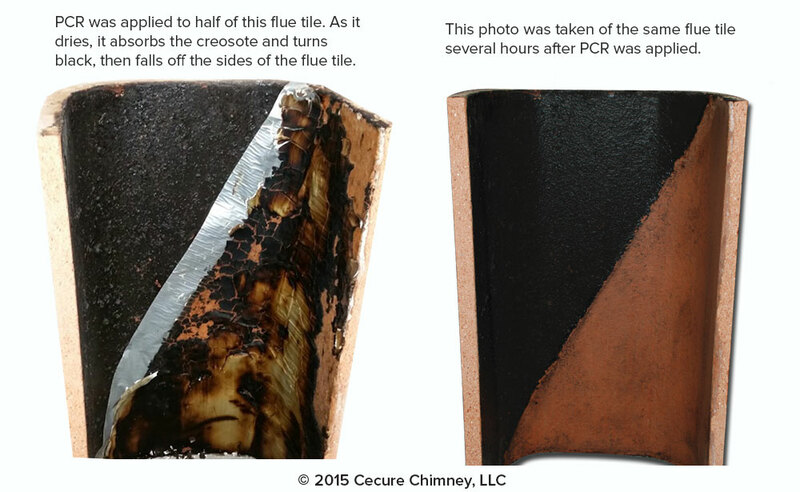 PCR should be used where glazed creosote is present in order to eliminate the dangers of chimney fires. When your chimney is thoroughly cleaned, you may find that your flue liner has gaps, cracks, spalling or misaligned flue tiles. If that's the case, HeatShield Cerfractory Flue Sealant can restore your chimney, improve its performance, and eliminate hazards.